Ms. Sing is a Graduate of Georgia State University where she earned her Master's in Community Counseling. She is a Licensed Professional Counselor, a Master Addictions Counselor, a Certified Relationship Specialist and a Certified Grief Counselor in addition to her many distinctions in the field of firearms. Mr. Swinson is a Graduate of the Georgia Institute of Technology where he studied Electrical Engineering and Applied Physics in addition to his many disciplines in the firearms realm. 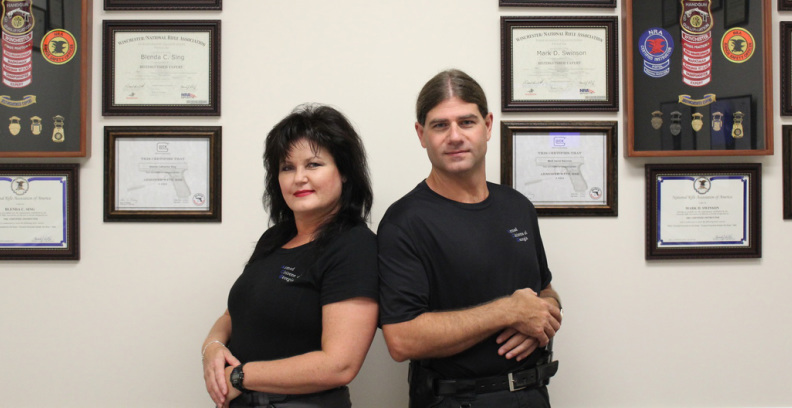 Mark & Blenda met in Martial Arts training in 1991 and have been developing open-hand and weapons based defense ever since.